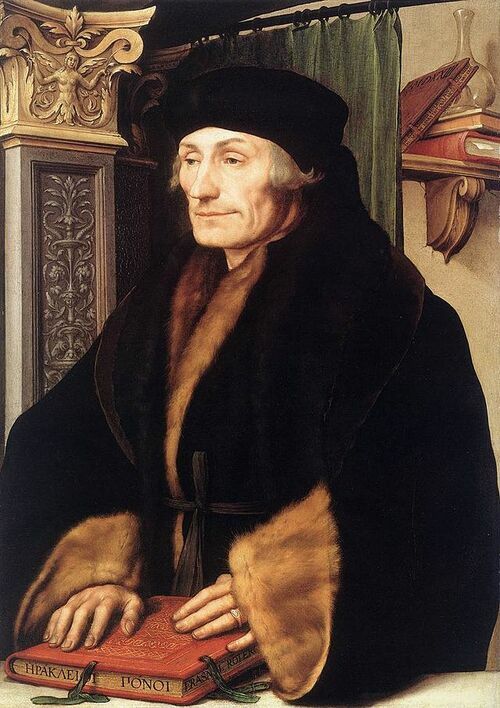 12 July 1536 – Death of Desiderius Erasmus, known as Erasmus of Rotterdam, or simply Erasmus, was a Dutch Renaissance humanist, Catholic priest, social critic, teacher, and theologian. Notarial instrument witnessing that, on 12 July 1543 Hen. VIII., in an upper oratory called "the Quynes Pryevey closet" within the honor of Hampton Court, Westm. dioc., in presence of the noble and gentle persons named at the foot of this instrument and of me, Ric. 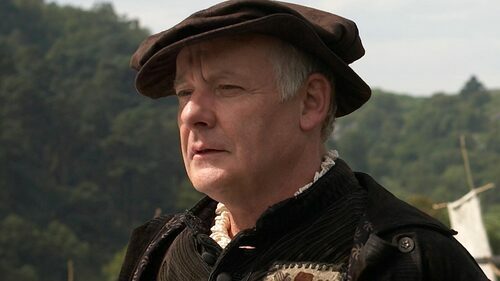 Watkins, the King's prothonotary, the King and lady Katharine Latymer alias Parr being met there for the purpose of solemnising matrimony between them, Stephen bp. 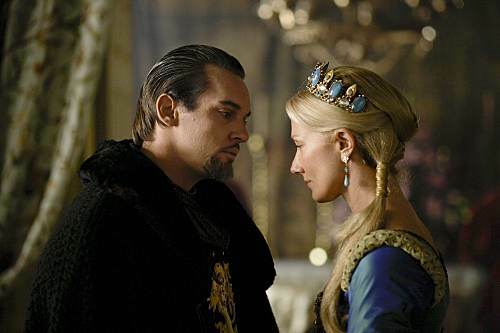 of Winchester proclaimed in English (speech given in Latin) that they were met to join in marriage the said King and Lady Katharine, and if anyone knew any impediment thereto he should declare it. The licence for the marriage without publication of banns, sealed by Thos. abp. of Canterbury and dated 10 July 1543, being then brought in, and none opposing but all applauding the marriage, the said bp. of Winchester put the questions (recited) to which the King, hilari vultu, replied "Yea" and the lady Katharine also replied that it was her wish; and then the King taking her right hand, repeated after the Bishop the words, "I, Henry, take thee, Katharine, to my wedded wife, to have and to hold from this day forward, for better for worse, for richer for poorer, in sickness and in health, till death us depart, and thereto I plight thee my troth." Then, releasing and again clasping hands, the lady Katharine likewise said "I, Katharine, take thee Henry to my wedded husband, to have and to hold from this day forward, for better for worse, for richer for poorer, in sickness and in health, to be bonayr and buxome in bed and at board, till death us depart, and thereto I plight unto thee my troth." The putting on of the wedding ring and proffer of gold and silver (described) followed; and the Bishop, after prayer, pronounced a benediction. The King then commanded the prothonotary to make a public instrument of the premises. Present : John lord Russell, K.G., keeper of the Privy Seal, Sir Ant. Browne, K.G., captain of the King's pensioners, and Thos. Henage, Edw. Seymer, Hen. Knyvet, Ric. Long, Thos. Darcy, Edw. Beynton, and Thos. Speke, knights, and Ant. Denny and Wm. Herbert, esquires, also the ladies Mary and Elizabeth the King's children, Margaret Douglas his niece, Katharine duchess of Suffolk, Anne countess of Hertford, and Joan lady Dudley, and Anne Herbert. Notarial attestation by Ric. Watkins, Ll. B., King's prothonotary.